Within the film industry, there are many who desire the money but not the enjoyment of acting and the impact it can have on others. But, then there are a few who hope to use their fame to leave a mark on the world. Amongst these few, is Logan Lerman, a teen actor wanting to change the world. Because of this, Logan Lerman is not just an actor he is an inspirer. Lerman was born in Beverly Hills, California on January 12, 1992 to Lisa (his manager) and Larry Lerman (entrepreneur). He is the youngest in his family, with a brother Lucas and sister Lindsey (1). At a young age, Lerman had a passion for movies, and appeared in his first commercial in 1998. His first film debut was in 2000’s The Patriot, playing one of the sons to Mel Gibson’s character. His most recent work was portraying D’Artagnon in the 3D adaptation of The Three Musketeers (2). Though acting was a big part of his young adult life, Logan still wants to pursue an education. He graduated from Beverly Hills High School and hopes to study creative writing at New York University once he settles down (3). In terms of chosen material, actor Logan Lerman scored points at an early age for attempting some of the most difficult parts imaginable for a preteenager. These roles include the son of a heroin addict to the portrayal of a child who experienced cruel injustice like being strangled, beaten and sexually abused. After these emotionally challenging debuts, Lerman dropped down a few notches as far as the intensity of the material he pursued to focus more on a particular cause. Lerman wanted to be able to inspire his audience with his acting and though talented, he wished for a more specific cause that he could put more of his time and effort into doing to help others. His wishes soon came true because Logan Lerman soon realized that this cause would be the Stand Up To Cancer campaign. In 2010, Lerman appeared in “Change the Odds”, a public service announcement video for the Stand Up To Cancer charity. It was an initiative to raising funds for innovative cancer research and puts cancer into perspective as a disease everyone must stand up to. Lerman made a statement to say why this campaign was not only important for him but for the world: “It is important for young people to be aware of the scope of the problem both for their own future and for their loved ones. It is never too soon to take a stand against these devastating and epidemic diseases (…) It makes me so proud to be a part of the Stand Up To Cancer movement.” (4) Ever since joining this campaign, Logan has been a busy bee! He has travelled all over the globe speaking to the public, participating in world wide telethons, and even taking the time to visit cancer patients at hospitals and donating both his time and money towards the cause. Joining the Stand Up To Cancer campaign was a pivotal moment in his career. It opened doors to new possibilities and opportunities for him. Being apart of the Stand Up To Cancer campaign proves that he is not only a talented actor but someone that people his age can look up to and say “I can make a difference”. To this day, Logan continues to work for the cancer campaign and hopes that others may follow in his footsteps. He is not perceived as just a youth actor anymore, but also an inspirer. 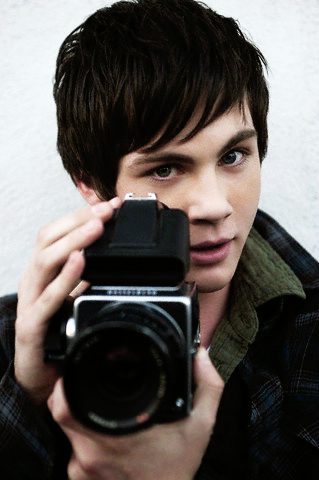 (1) “Logan Lerman Biography – TI4u.”Teen Idols 4 You : Teen Entertainment News and Picture Galleries. N.p., n.d. Web. 24 Jan. 2012. <http://www.teenidols4you.com/bio/Actors/233/logan_lerman.html&gt;. (3) “An Interview with Logan Lerman of “Percy Jackson & the Olympians” – Movies – BlackBook.” BlackBook. N.p., n.d. Web. 24 Jan. 2012. <http://www.blackbookmag.com/movies/to-catch-a-thief-logan-lerman-in-percy-jackson-the-olympians-the-lightening-1.20837&gt;. (4) ” Young Hollywood Bands Together To Stand Up To Cancer — LOS ANGELES and NEW YORK, Aug. 3 /PRNewswire/ –.”PR Newswire: press release distribution, targeting, monitoring and marketing. N.p., n.d. Web. 24 Jan. 2012. <http://www.prnewswire.com/news-releases/young-hollywood-bands-together-to-stand-up-to-cancer-99897144.html&gt;. Previous Small, Fuzzy, and Misunderstood. i think its really great the Lerman is doing this. He puts his fans and other people in front of himself. He is a really inspirable actor and makes me want to strive for success. WEll gee, this is a good essay, oh my this is really inspiring and well done. This makes we want to do what this kid is doing. Golly this is such a good article. This is a positive comment. It is not insulting, rascist. homophobic, or in any way offensive. It also contains a few spelling errors because I am bad at typing. ummmm……I like this article?